In our stores you can find semi-cured and cured pieces of cheese, which are elaborated using raw milk to keep its original flavour that distinguishes them from other kinds of cheese. Torralba cheese is completely handmade and molds are not used during its preparation, therefore each cheese may vary lightly in measure and weight. 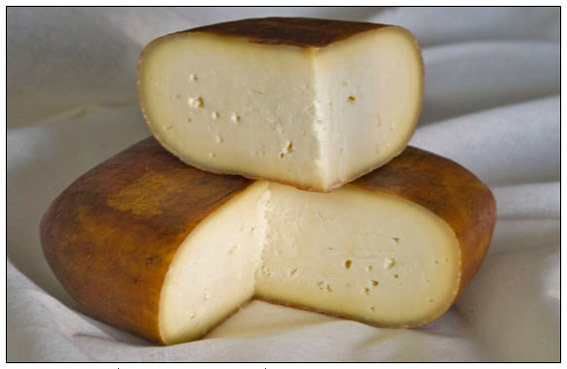 Semi-cured Torralba cheese has a ripening period comprised between 2 and 5 months. Its color is ivory-yellow inside and orangey or brown outside. The semi-cured cheese is greasy and has an elastic texture that makes it easy to cut. It usually has a variable number of small holes distributed irregularly inside. Its flavor and aroma remind us of butter.